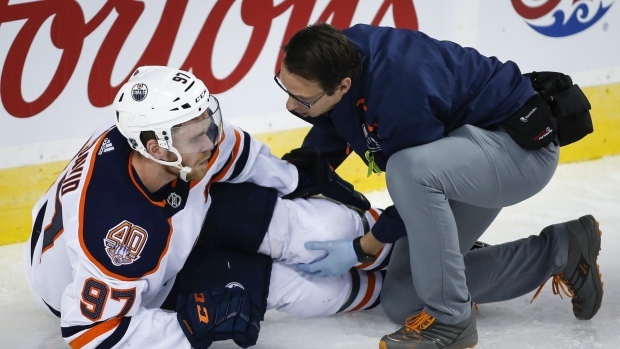 EDMONTON — Superstar centre Connor McDavid will begin rehabilitating his leg immediately. McDavid left Edmonton's 3-1 victory over Calgary on April 6 with a left leg injury after crashing into the Flames net in the second period. Oilers CEO Bob Nicholson confirmed McDavid had an MRI following the incident and at the time said the team was "still evaluating it but it's not as serious as we thought." McDavid's injury capped a disappointing season for the Oilers that included firing head coach Todd McLellan on Nov. 20 and general manager Peter Chiarelli on Jan. 23.